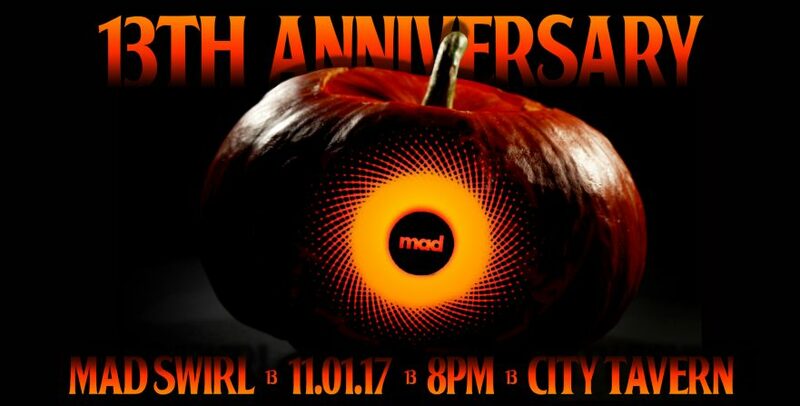 This past 1st Wednesday of November (aka 11.01.17) Mad Swirl stirred it up once again, this time celebratin’ our 13th year of doing so! GREAT BIG thanks to Swirve (Gerard Bendiks skins & Chris Curiel trumpet and musical guest Hanzu) for stirring the Swirl the best way in the world! More HUGE thanks to City Tavern’s Thad Kuiper & Noble Tse for makin’ our stay most righteous.